Digoxin a popular drug is widely used in patients with atrial fibrillation (AF).The use of digoxin in patients having atrial fibrillation (AF) with or without heart failure (HF) is not without controversy.Several observational studies have suggested the increased risk of mortality in patients with AF on digoxin although some studies failed to confirm this. In a recent study, Dr.Renato D Lopes Professor of Medicine at Duke University School of Medicine and colleagues did a post-hoc analysis of the ARISTOTLE trial to explore whether digoxin use was independently associated with increased mortality in patients with AF.They investigated the independent association between serum digoxin concentration and mortality after multivariable adjustment.The authors found that Patients with atrial fibrillation (AF) taking digoxin have a higher mortality risk than controls not on the drug.The findings of the study have been published in Journal of the American College of Cardiology. The association between digoxin use and mortality was assessed in 17,897 patients by using a propensity score-adjusted analysis and in new digoxin users during the trial versus propensity score–matched control participants. At baseline, 5,824 patients were receiving digoxin. It was found that patients already on digoxin at ARISTOTLE’s outset did not show an increased death risk. But when examined by serum concentrations, patients with baseline levels at 1.2 ng/mL or above had over 50% increased risk, compared with those not on digoxin (levels below 0.9 ng/mL showed no increased risk). In addition, in those starting on digoxin during the trial’s follow-up, the risk of death and sudden death was significantly higher. In patients with AF currently taking digoxin, the risk of death is independently related to digoxin serum concentration and is highest in patients with concentrations ≥1.2 ng/mL. 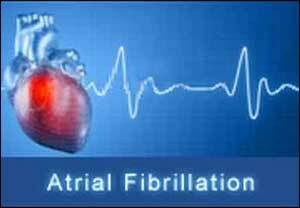 Initiating digoxin is independently associated with higher mortality in patients with AF, regardless of HF. Therefore in the absence of randomized trial data showing its safety and efficacy, digoxin should generally not be prescribed for patients with AF, particularly if symptoms can be alleviated with other treatments.In patients with AF already taking digoxin, monitoring its serum concentration may be important, targeting blood levels <1.2 ng/mL.